Sydney is known for nightlife, trails, beaches, parks, and museums. 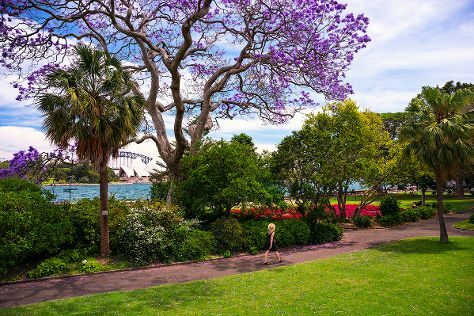 Your plan includes some of its best attractions: take in nature's colorful creations at The Royal Botanic Garden, snap pictures at Sydney Harbour Bridge, tour the pleasant surroundings at Bondi Beach, and wander the streets of The Rocks. To see reviews, where to stay, photos, and tourist information, read Sydney road trip website . The Route module shows you travel options from your home to Sydney. In January in Sydney, expect temperatures between 32°C during the day and 23°C at night. Wrap up your sightseeing on the 20th (Sun) to allow time to travel to Hobart. Change things up with a short trip to Bonorong Wildlife Sanctuary in Brighton (about 30 minutes away). 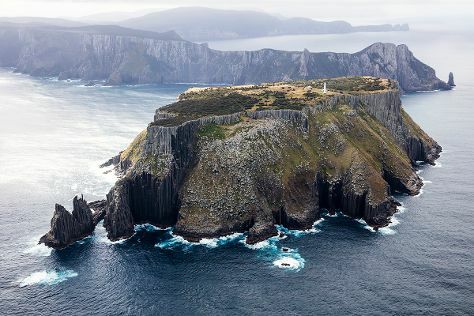 There's still lots to do: take in the awesome beauty at Mount Wellington, explore the wealth of natural beauty at Maria Island National Park, tour the water at your own pace with Tasmanian Boat Charters, and contemplate the long history of Cascades Female Factory Historic Site. For maps, photos, and tourist information, use the Hobart tour itinerary planning site . Fly from Sydney to Hobart in 4.5 hours. Alternatively, you can do a combination of train, ferry, and bus; or do a combination of bus and ferry. Expect little chillier temperatures when traveling from Sydney in January; daily highs in Hobart reach 26°C and lows reach 14°C. Cap off your sightseeing on the 24th (Thu) early enough to go by car to Port Arthur. On the 25th (Fri), make a trip to Remarkable Cave, then steep yourself in history at Australian Convict Sites, and then trek along Three Capes Track. On the next day, appreciate the extensive heritage of Port Arthur Historic Site, then explore and take pictures at Tessellated Pavement, and then contemplate the waterfront views at Pirates Bay/Eaglehawk Neck. For other places to visit, traveler tips, ratings, and tourist information, use the Port Arthur trip builder app . Getting from Hobart to Port Arthur by car takes about 1.5 hours. Other options: take a bus. In January in Port Arthur, expect temperatures between 26°C during the day and 14°C at night. Finish your sightseeing early on the 26th (Sat) to allow enough time to drive to Coles Bay. Explore the numerous day-trip ideas around Coles Bay: Swansea (Spiky Beach Conservation Area & Melshell Oysters) and Spring Vale Wines (in Cranbrook). Spend the 27th (Sun) exploring nature at Freycinet National Park. 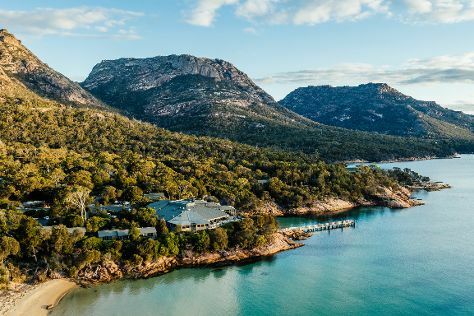 There's much more to do: walk along Wineglass Bay Lookout, learn about winemaking at Gala Estate Vineyard, don't miss a visit to Mt Amos Climb, and take a leisurely stroll along Coles Bay Jetty. For ratings, photos, where to stay, and tourist information, read Coles Bay trip maker tool . Drive from Port Arthur to Coles Bay in 3.5 hours. Alternatively, you can take a bus. Finish up your sightseeing early on the 29th (Tue) so you can go by car to Launceston. 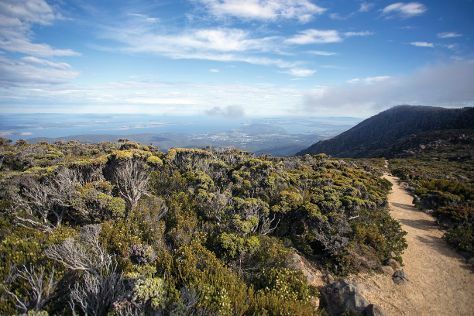 Get out of town with these interesting Launceston side-trips: Scottsdale (Mount William National Park & North East Rail Trail) and Woolmers Estate (in Longford). 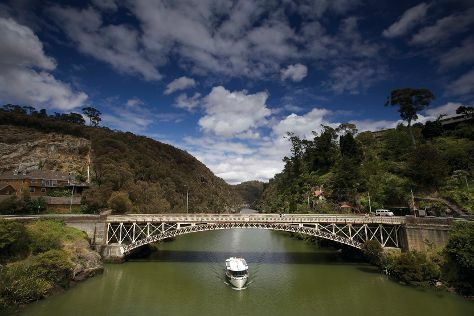 The adventure continues: look for all kinds of wild species at Cataract Gorge Reserve, take in the views from Alexandra Suspension Bridge, tour the pleasant surroundings at City Park, and see what you can catch with a fishing tour. To see ratings, other places to visit, more things to do, and other tourist information, use the Launceston road trip tool . Getting from Coles Bay to Launceston by car takes about 2.5 hours. Other options: do a combination of car and bus; or do a combination of taxi and bus. In January, plan for daily highs up to 28°C, and evening lows to 12°C. Finish your sightseeing early on the 1st (Fri) so you can travel back home.